Ignition Timing is a procedure to supply spark at the right time. This guide will provide you how to use a timing light to set the ignition timing. 1.1 1. What is the function of ignition timing? 1.2 2. What are the symptoms of bad timing? 1.3 3. How do 4-cycle engines work? 1.4 4. How do you interpret the ignition timing number? 2 How Does Timing Light Work? You can set ignition timing by a timing light as well. 1. What is the function of ignition timing? Simply put, Ignition Timing is a procedure to supply spark at the right time. It actually sets the pointer depending on the crankshaft’s velocity and the position of a car’s piston. Therefore, Ignition Timing supplies the spark at the very accurate timing in order to burn the air-fuel mixture. 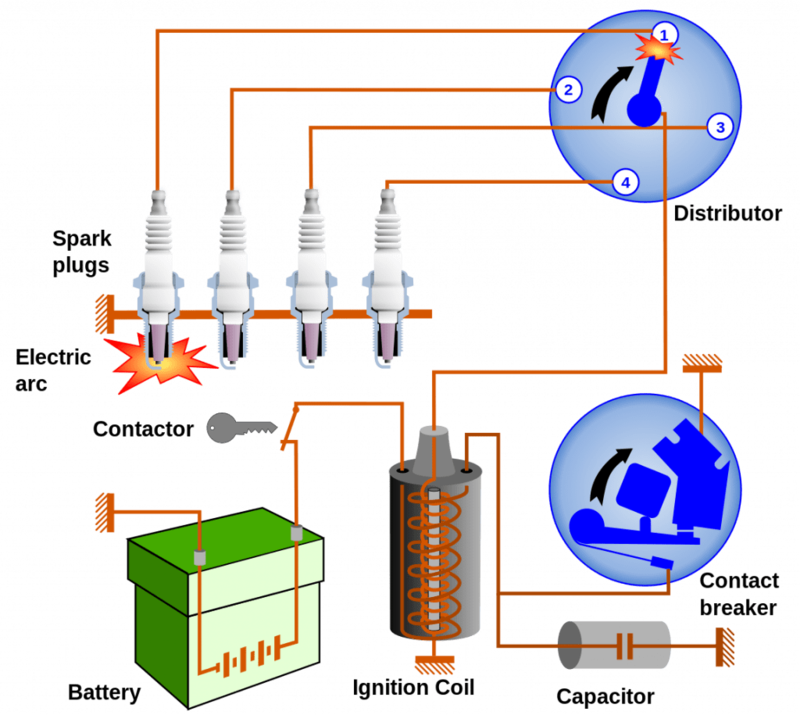 After a compression stroke, the Ignition System delivers a spark at the right time. 2. What are the symptoms of bad timing? The symptoms of bad timing include backfiring, pinging and a car running too lean or rich. If you notice some of these signs in your car then you need to adjust the timing. 3. How do 4-cycle engines work? A 4-cycle engine has four strokes which include the intake, compression, power as well as exhaust. 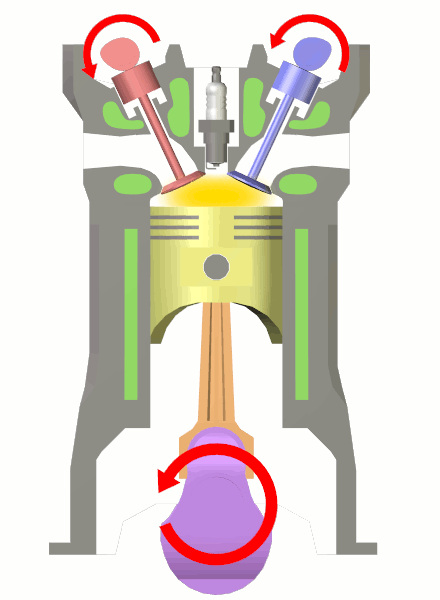 On to the first stroke, that is the intake, both fuel and air are taken into the cylinder – for combustion. As for the compression step, the piston exerts pressure to this mixture of air and fuel. Pressure here is necessary to produce enough explosions. A proper explosion is important for attaining propulsion out of the procedure. Air compresses fully only when the piston as at its top level, which is called the “top-dead-center.” This time is ideal for the spark-plug to fire. The next step is power. It is the stage where gasoline explodes and pushes the piston downwards to rotate a car’s engine. The last stage is exhaust. It is where all the by-products of the explosion are emitted in order to begin a fresh process. 4. How do you interpret the ignition timing number? Numbers on the right side of zero on the timing tape refers to the downward motion of the piston. The numbers on the left of zero refer to the upward motion of the piston. When you move the wheel to the right you will be advancing the timing. On the other hand, when you move the wheel to the left you will be moving the timing back. How Does Timing Light Work? 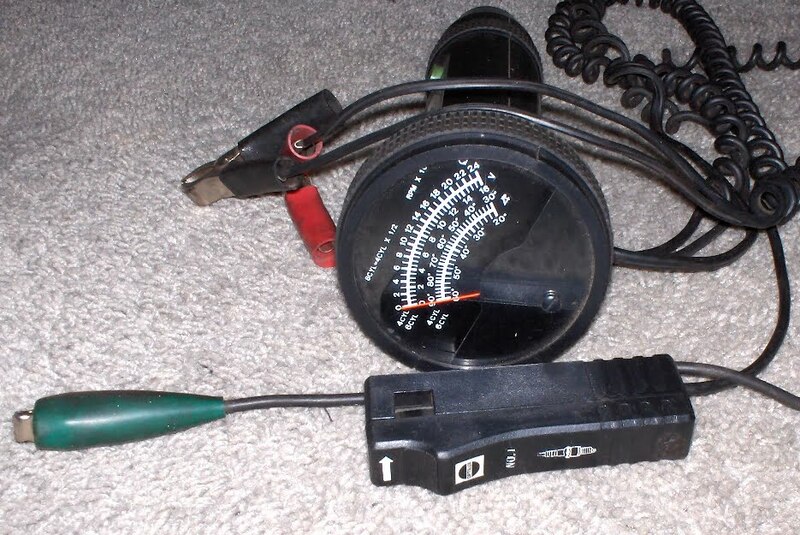 A timing light works by lighting the timing numbers in a strobe motion as it spins. Hence, you’ll be able to view the point that the spark plug fires on the timing catalog. For one, you should read your car manual on how to hook up a timing light. Most timing lights have 3 clips and you’ll learn about them on the manual. Second, ensure the auto engine is off and remove the key from the ignition. More so, ensure all battery terminals are clean to boost good connection. The first step is to connect the corresponding clips to the ground terminals and power. The red clip should go to the positive terminal. Then connect the black clip onto the negative terminal of the battery. Failure to connect these clips to their right terminals will give you wrong readings. Once you attach the clips, fix the third wire to the Number-1 spark plug wire also. Now start the vehicle and let it stay idle. Switch on the light at the timing numbers on the flywheel. Here a number will show up. The timing gun flashes when the spark-plug fires. As a result, a one-timing number will appear when the engine operates. Make a comparison of this steady number to the number that your manufacturer recommends. At this point, you want to check the timing number and how it fires. In this case, you need a friend to rev your car engine. The friend should rev as you use the light to illuminate the numbers. Of course, your car should be neutral and your hands far away from the engine. To note the total timing, let your friend rev the car engine to about 3500 RPMs. In doing so, you’ll set the curve of the ignition timing and the initial timing. After attaining the ignition timing number, the next step is to adjust it, if necessary. Car models have different timing values. This depends on the transmissions used and the year a car was manufactured. To know whether your timing needs an adjustment or not, read your manufacturer’s manual. Alternatively, you can ask your local mechanic or auto parts store. Untighten the bolt that holds the distributor of your car engine. Loosen it in such a way that you can turn the distributor. From here you can change the timing by turning the distributor in one direction or the other. What direction you turn depends on whether you want to move the timing back or advance it. To advance the ignition timing, you should rotate the distributor counterclockwise. Hold the distributor strongly to rotate it gently to whatever side you want. Rotate till you attain the right timing mark. Use the timing light to check whether you get the correct position of the timing mark. Once you set the right number, tighten the distributor bolts to lock it. If you are not sure what the total timing to attain, it should be between 34 degrees and 36. Gather every tool you’ll need to make your work easier. Once done, remember to remove the tools from the car’s engine. 1. What causes bad ignition timing? Backfiring, sluggish acceleration, hard starting, overheating, and poor fuel economy are some of the causes of bad ignition timing. 2. Why is ignition timing important? The ignition timing is important as it sets the correct mark at which the mixture of air and fuel in the combustion chamber is burnt. 3. Can bad timing cause a hard start? Yes, bad timing can cause hard start due to excessive or delayed spark ignition. 4. Will a car run if the timing is off? If the timing is off, high chances are that your vehicle will not run properly. 5. Can incorrect timing cause overheating? Yes, incorrect timing can cause overheating. It is a sign that indicates the air-fuel mixture was burnt before the power stroke. As a result, the engine generates more heat than normal. All in all, bad ignition timing drains the power and efficiency of a car’s engine. Any air-fuel mixture fired other time instead of the right time will lead to improper combustion. This can lead to low fuel economy as well. Hence, you should use these guidelines on how to use a timing light to set ignition timing.